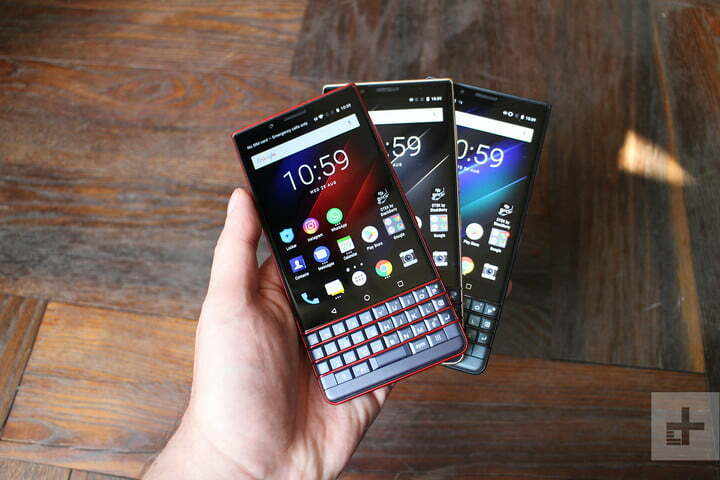 BlackBerry has another handset on the list for 2018 — a lower-cost version of the Key2 known as the Key2 LE. 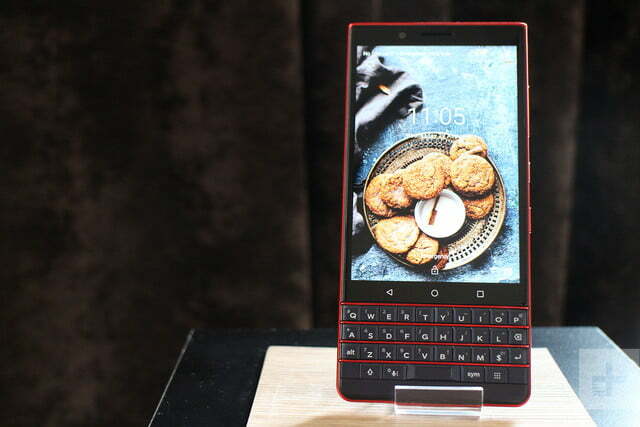 It does away with some of the more high-tech features of the expensive Key2, and cuts costs by using different materials for the body, to create a more affordable but still distinctly BlackBerry smartphone. You can check out our Key2 LE hands-on review for our impressions. Here’s everything you need to know about the new phone. The atomic red version of the BlackBerry Key2 LE is now available to pre-order in the U.K. and Europe. It costs 400 British pounds, or about $515. It will be released on December 6. 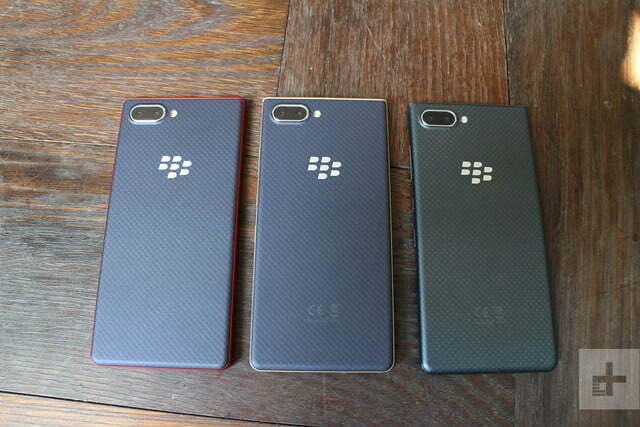 For the most part, the BlackBerry Key2 LE looks pretty similar to the Key2. It has the same 4.5-inch display and a matte keyboard, but the keyboard is slightly smaller and the phone weighs less. 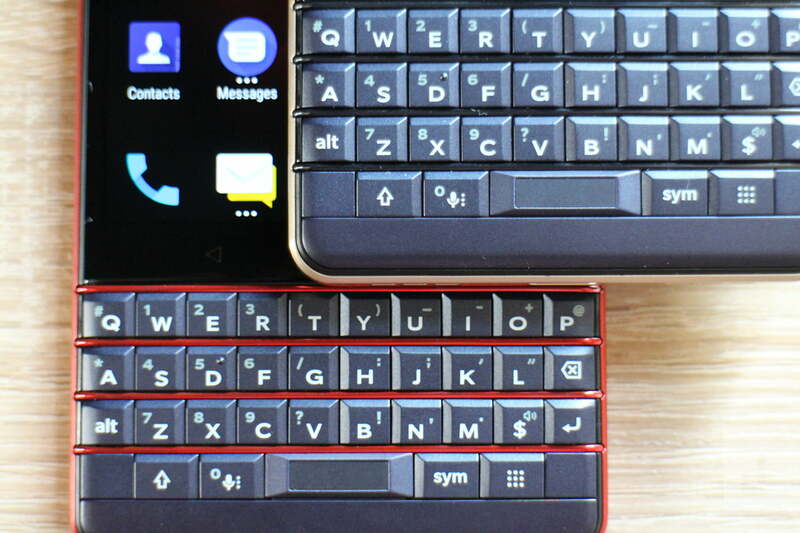 The keyboard does not have the capacitive touch feature that you’ll find on the Key2, which is one of the sacrifices you make for the cheaper phone, but the new Speed Key is still present. It helps you swap between apps much faster using the keyboard shortcuts. Flip the phone over and you’ll also notice that the textured back on the Key2 LE is a little different than the Key2. The chassis is plastic instead of aluminum, but it does come in more colors: Slate, atomic, and champagne. Of the three, the atomic version — which is red with a dark rear panel — looks best, and offers the only instance where the color extends into the frets between the keys on the keyboard. While TCL may have cut some corners on the BlackBerry Key2 LE, the display didn’t take a hit. You’ll find the same 4.5-inch LCD screen on the Key2 LE as is present on the Key2, with a 1,620 x 1,080 resolution. The BlackBerry Key2 LE has a dual-camera lens module on its rear just like the Key2, but the megapixel counts are different. The primary lens comes in at 13 megapixels, while the secondary lens comes in at 5 megapixels. Google Lens is integrated into the camera as well. 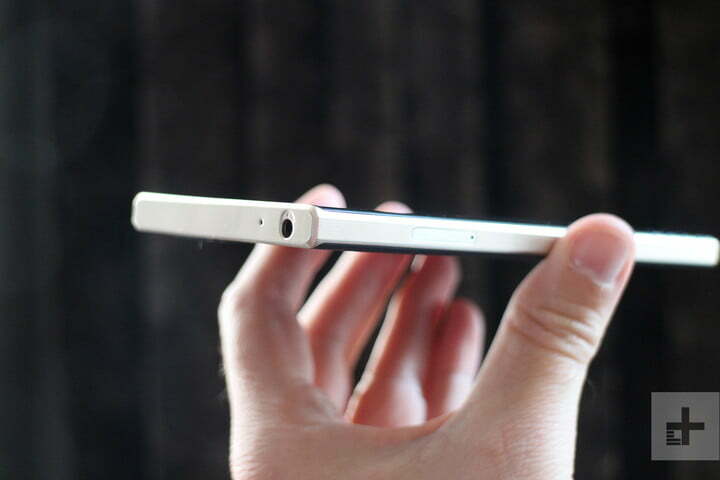 The front-facing camera comes in at 8 megapixels and has an LCD flash. There’s also a Wide Selfie Mode and beauty filter for more options when you’re snapping away. While the BlackBerry Key2 falls firmly into midrange smartphone territory, TCL wanted to make its lightweight Key2 LE more competitive. To do so, it made some minor hardware changes. The Key2 LE ships with a Qualcomm Snapdragon 636 processor and 4GB of RAM. As for storage, the default option comes in at 32GB; however a 64GB option will also be available in many regions. If that’s not enough, though, the phone will also have a MicroSD slot for external storage. The battery on the Key2 LE is slightly smaller as well, coming in at 3,000mAh compared to the 3,500mAh on the Key2. That still should be enough to get you though more than a full day though, and since the phone features Qualcomm QuickCharge 3.0 it you’ll be able to charge the battery quickly. Like the BlackBerry Key2, you’ll find Android 8.1 Oreo on board. Expect to see an update to Android 9.0 Pie in the future. There’s not much else different with the software suite provided by BlackBerry on the phone. The Convenience Key defaults to triggering Google Assistant, and it can be customized a little more now. As usual, TCL promises the Key2 LE will receive monthly Android security updates as well. The Slate BlackBerry Key2 LE is now available for pre-order on Amazon starting at $450. You’ll also be able to find the Key2 LE in select Best Buy stores and online on October 12; pre-orders through Best Buy should also be available. The Key2 LE will work on AT&T, T-Mobile, and Verizon’s networks. If you’re looking for the Champagne BlackBerry Key2 LE, it arrived on Amazon and Best Buy on November 2. This color option will set you back $500. In December, the atomic Key2 LE was announced for the U.S. AT $500, it’s a Best Buy exclusive just in time for the holidays. 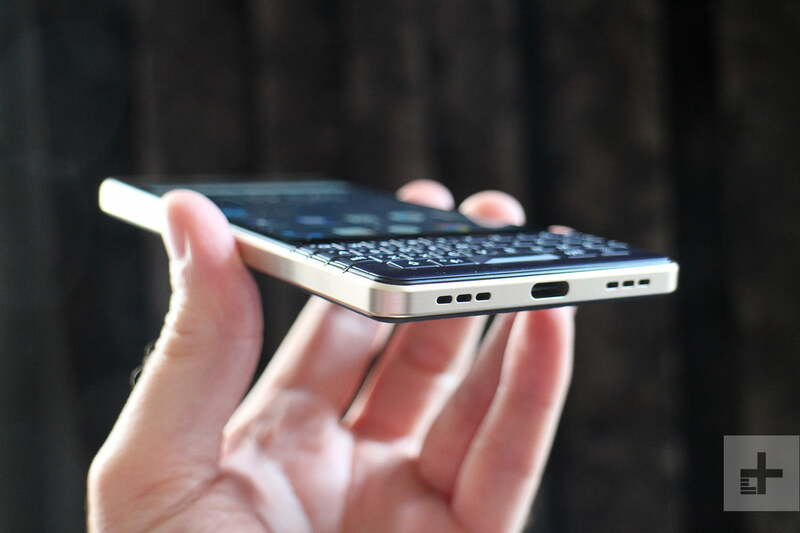 It is also available for pre-order in the U.K. and Europe on BlackBerry’s website. It costs 400 British pounds, or 430 euros. 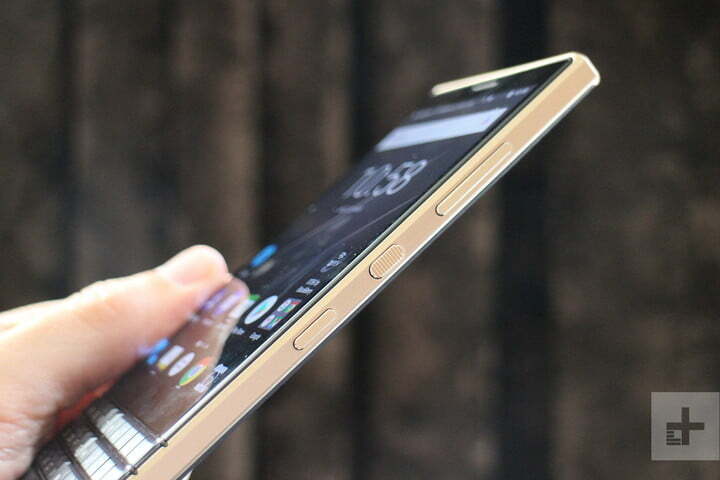 It will be released on December 6 and will come in a dual-SIM configuration with 64GB storage space. Updated on December 4, 2018: The atomic BlackBerry Key2 LE is now available as a Best Buy exclusive.